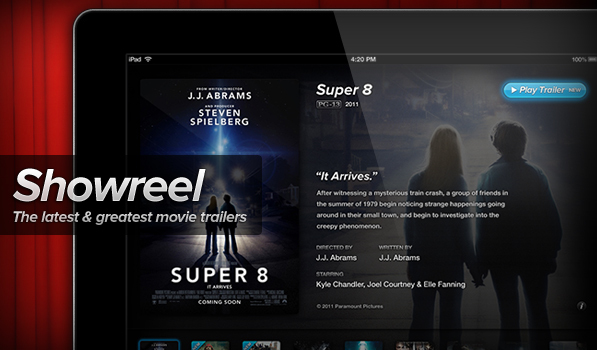 Showreel is a beautiful app for iOS that lets you browse and watch the latest and greatest movie trailers on your iPad. Designed and developed by the wonderful folks at Riot, Showreel lets you sit back and enjoy movie trailers in glorious HD. It even supports streaming to your Apple TV via AirPlay. Showreel only features a curated list of movie trailers that are hand-picked by the team. The splash-screen is a beautiful red stage curtain that opens up and takes you to the movie trailers. The app does a fantastic job of laying down the movies for you by displaying each movie’s poster at the bottom. Showreel is smart enough to indicate which of the trailers are new and which ones you’ve already watched. Showreel also includes Push Notification alerts for new trailers. You can view the description and cast of each film as you browse through the list. The app has a beautiful way of displaying background images for the selected movie, but this is only supported on the iPad 2 due to performance issues on the first-gen iPad. Showreel has been out on the App Store for a few months now, but I hadn’t feautired it here since it constantly kept crashing on my first-gen iPad. 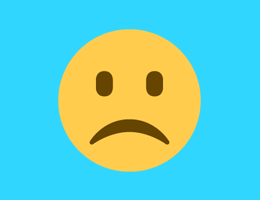 That said, my feedback was duly noted and heard by the developers and v1.2 update, which is now available on the App Store works great and I haven’t seen any crashes. Showreel is available for $2.99 on the App Store. Even though Apple has their own iTunes Movie Trailers app on the App Store, I still find myself watching my trailers in Showreel.